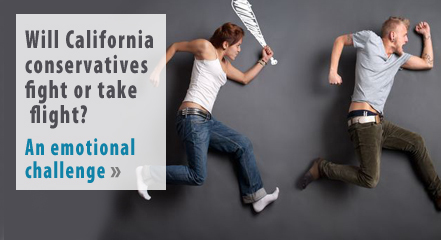 Election aftermath: Will California conservatives fight or take flight? Behavioral experts describe it as freeze, fight, and flight. These are three possible responses — a combination of God-given and environmentally-shaped emotions — that rise up within us when we perceive a danger. The danger may be true or false — but initially, we’re going to either freeze, fight, or take flight. No matter your initial reaction to the just-concluded Midterm Elections, please join me in fighting. Because when evil dominates, it must be exposed and resisted. God always wants His people to steadfastly defend all that is good, right, and true. I aim to do that — how about you? a. In the 100-member United States Senate, the Republicans have increased. They’ve gone from 51 to 52 in number, and could go to 53 if Martha McSally wins in Arizona, and up to 54 if Cindy Hyde-Smith wins Mississippi’s U.S. Senate special election on November 27.
b. The Senate Republicans have become more constitutional. Strong conservatives have replaced wishy-washy Republicans such as Bob Corker, Dean Heller, John McCain (and if Martha McSally pulls it off, Jeff Flake). This principled increase means hundreds of President Donald Trump’s judicial nominees will have no problem being confirmed, despite any grumblings from pro-abortion Republicans Lisa Murkowski of Alaska or Susan Collins of Maine. And given that 85-year-old ACLU anti-religious-freedom, pro-abortion attorney Ruth Bader Ginsburg might be next to depart the nation’s high court, the Senate’s confirmation of yet another constitutionalist/originalist to replace her is imperative. c. The Democrats’ outrageous personal attack upon U.S. Supreme Court nominee Brett Kavanaugh backfired. In the Senate battleground states of North Dakota, Indiana, Missouri, West Virginia, and Florida, all the anti-Kavanaugh votes were booted out of office, while pro-Kavanaugh Democrat Joe Manchin of West Virginia survived). e. The Democrats winning back the U.S. House wasn’t because evil is too strong, but because Republican leadership was foolish. Moral conservative leaders with decades of wise experience held a post-election news conference to explain that the campaign advice of Kevin McCarthy of Bakersfield, California to run on local rather than national issues failed to energize conservatives. SaveCalifornia.com agrees. Members of the U.S. House of Representatives are all about national issues anyway; they should be teachers and cheerleaders for issues of national importance that capture the public’s attention. Why do Democrats in Congress seem to understand this better than some Republican candidates? Despite the Democrat politicians’ union-funded grip* upon the State of California, our Campaign for Children and Families has survived three governors already (Gray Davis, Arnold Schwarzenegger, Jerry Brown). 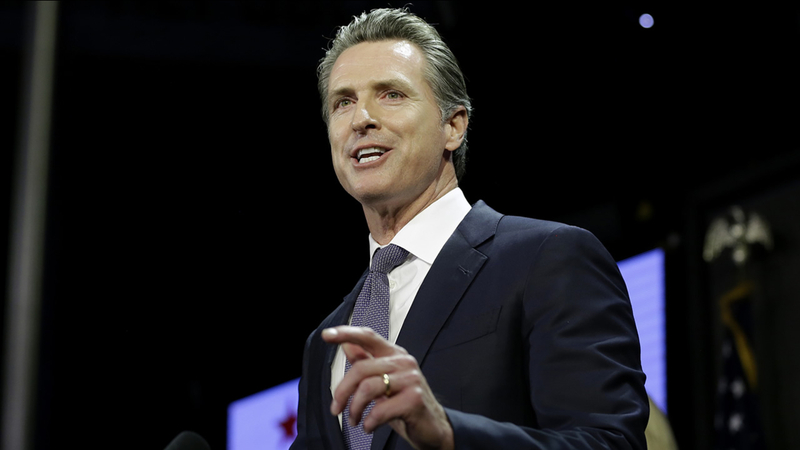 And with God’s help and yours, we’re committed to survive, expose, and oppose the guaranteed wicked policies of Gavin Newsom that harm individuals and families. I need to know you want to fight rather than take flight. Because every loss is an opportunity to learn how to be and do better. And given the myriad of public policy problems caused by California’s ruling Democrats, now is the time to expose them. Please realize that simply running from a problem tends to make us insensitive to love, responsibility, and solutions. Because love doesn’t drop out; it presses in and sacrificially gives. Lastly, I believe California is in a dynamic. Look at history. Communism was dismantled in Eastern Europe because it went against God-given human nature. Likewise, some governorships on the east coast of the U.S. have flipped in the last few years from Democrat to Republican (think Maryland, Massachusetts, Maine, New Hampshire, Vermont). And this election, a big liberal “environmental group” bond (Prop. 3) went down in California, to the frustration of liberal operatives. What’s more, an anti-establishment, academic reformer, Marshall Tuck, might become California’s state school chief. And we’re just beginning to see union membership dropping since the June 2018 U.S. Supreme Court Janus decision affirming the free-speech right of government employees to not have their money coerced away by power-hungry union bosses. Remember, Liberalism doesn’t work; when pressure is applied, it can indeed break down. Meanwhile, it’s clear to me that a lot of professing Christians (especially younger adults) and a lot of frustrated conservatives (also the younger ones) don’t vote. I keep meeting them. Now, can you imagine what a well-articulated conservative voter registration drive campaign in communities could do? And what if Christian church denominations held voter registration drives in all their member churches, which then would internally lobby churchgoers to “get out the vote” in the big 2020 presidential election? And what if Campaign for Children and Families received confidential pro-family donations totaling $1 million to powerfully promote your values statewide through cost-effective media buys? Finally, what if major conservative donors had given the gas tax repeal (Prop. 6) $10 million to show California voters convincing messages like SaveCalifornia.com produced? And what if John Cox had also received $10 million to blanket TV, radio, newspapers, and the internet with months of his ads exposing obvious problems caused by Democrat politicians? We might have a profoundly different Governor-Elect today. I believe the time to invest in California is now, because liberal policies are ripe for taking down. As famed investor Warren Buffett said, “Be fearful when others are greedy and greedy when others are fearful.” This certainly applies to the ruling Democrats’ house of cards. If convincing evidence can be creatively presented, it opens people’s eyes. I’ve seen this happen individually, so why not change minds on a grand scale? Thank you for reading this and thinking about the dynamic culture we live in and how you, with your faithful, principled stand, can make an impact. Thank you for standing strong for your moral values with SaveCalifornia.com and our ongoing Campaign for Children and Families! Posted in Abortion, America, Ballot, California Governor, California Legislation, Children, Christians, Churches, Culture, Democrats, Election, Fighting for what's right, Gavin Newsom, Jerry Brown, Jesus Christ, Judges, Patriotism, Religious Freedom, Republicans, SaveAmerica.com, SaveCalifornia.com | Comments Off on Election aftermath: Will California conservatives fight or take flight? If you’re sick and tired of the Democrat rulers of California trying to ban or punish any moral values they disagree with, here’s some real hope for you. The U.S. Supreme Court’s big decision recognizing the First Amendment right of pro-life crisis pregnancy centers to NOT be forced to promote values that they oppose (e.g., killing preborn babies via abortion) has set a key precedent for the protected speech of other organizations and business owners with moral values. The opinion states: “The dangers associated with content-based regulations of speech are also present in the context of professional speech. As with other kinds of speech, regulating the content of professionals’ speech pose[s] the inherent risk that the Government seeks not to advance a legitimate regulatory goal, but to suppress unpopular ideas or information… Take medicine, for example. ‘Doctors help patients make deeply personal decisions, and their candor is crucial.’ Throughout history, governments have ‘manipulat[ed] the content of doctor-patient discourse’ to increase state power and suppress minorities. '”Justice Thomas notes that professional disagreements about the efficacy of professional services cannot be used to suppress speech. So even though it’s probable that the Democrat rulers of California will pass AB 2943, it’s also highly probable that the right lawsuit or lawsuits could use National Institute of Family and Life Advocates (NIFLA) v. Becerra to win a future U.S. Supreme Court victory that broadly protects moral speech in America. A success here would not only strike down AB 2943, thus protecting counselors who help adults overcome homosexuality or transsexuality, but would also affirm the right of counselors to help minors who struggle with homosexuality or transsexuality (which Governor Jerry Brown and the Democrats banned in 2012).